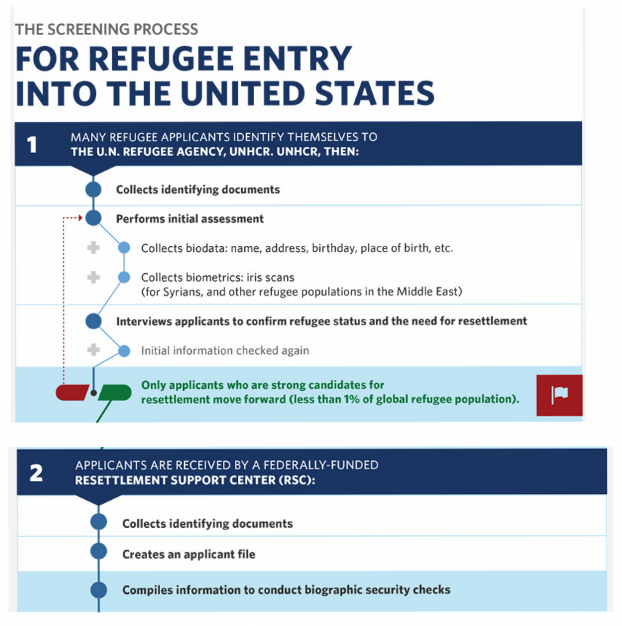 I am for screening or “vetting” of refugees seeking to be resettled in our country. I believe there should be in-depth processes which evaluate and validate who enters our nation, especially in times of great conflict and from areas of great conflict. The reality is that our current process, though not foolproof, is already detailed and extreme. 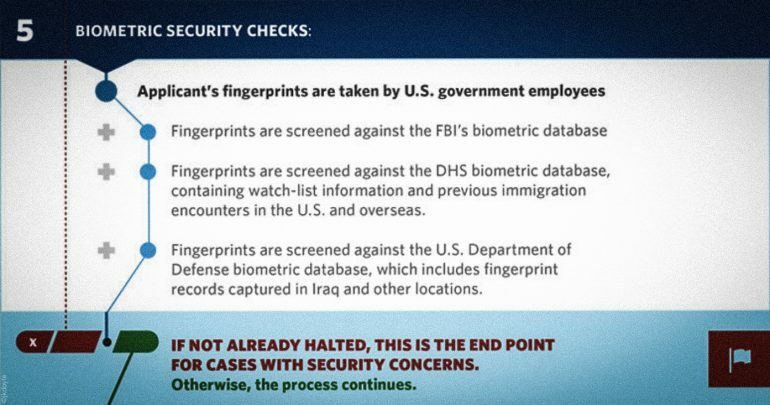 It already contains multiple background checks, medical examinations, multiple moments for red flags, interviews by the US security officials: the National Counter Terrorism Center, the FBI, Homeland Security, the State Department, US Customs, the TSA, and at least one non-governmental organization for placement. In addition, resettled refugees are responsible for paying for their own airfare or means of travel here. If refugees and the “vetting process” is an issue of concern for you, I highly encourage you to contact organizations working with resettled refugees in your area. Catholic Charities is often a good place to start, as they are one of the primary organizations used by the State Department to care for newly resettled refugees (contrary to some popular notions, the majority of these organizations are faith based). Ask if you can be connected to an actual refugee family or individual. You will find out exactly how the process works and will also likely make lifelong friends. Here are some images that represent the process that was in place in 2016. Please note all of the background checks and the points for “red flags” which are stopping points. Also, the average wait time for refugees to be resettled is more than 10 years (some data indicates it may be 17 years), the majority of refugees in UN camps are children (51%), and only 1% of persons in refugee camps are ever given the opportunity for resettlement. Did any REFUGEES who came in under President Obama commit a terrorist act on American soil? The answer is NO. None. Not one. So, that means that out of [the roughly estimated] 560,000 refugee entries from 2009-2016, there is a 100% success rate on vetting when it comes to terrorist activity . . . I’m not sure why this isn’t celebrated. It’s a very good thing. Can you think of any other government program that has a 100% success rate over 8 years with 560,000 cases? I can’t. In other words, the Refugee Resettlement Program was the most successful government program in America over the past 8 years, and within 7 days of the Trump Administration, President Trump dismantled it and said it wasn’t working. I’m a husband, father, and one of those friends who has a terrible habit of not returning phone calls. I’m really just trying to figure out what it means to follow Jesus, and I enjoy meeting great people along the way and maybe having a chance to spend time talking about things deep and trivial.